Long Beach, Calif. – July 10, 2014 – Formula DRIFT entered Fuji Speedway for the first Formula DRIFT Japan event for Round 2 of the Formula DRIFT Asia Championship. Japan’s own Masao Suenaga takes the inaugural event victory. Formula DRIFT continued global expansion into the land of the rising sun holding the first ever Formula DRIFT Japan event at Fuji Speedway this past weekend. The event embarks on a three-year deal between the Series and MSC Co, Ltd. 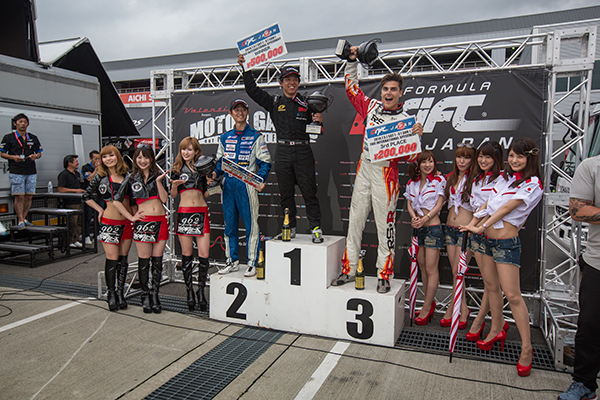 The event had sixty-nine entries in which fourteen of those were Formula DRIFT Asia regulars. Six of the fourteen finished in the Top 16. Participating drivers represented eight countries. Formula DRIFT featured ancillary events including: the Offset Kings car show, World Time Attack exhibition, Mazda Fest, 180 & Silvia Meet, FMX demos and Supermoto racing. Over 150,000 viewers watched the event worldwide via the Driftstream. The 2014 Formula DRIFT Championship season continues to Round 5: Throwdown at Evergreen Speedway on July 18-19. For more information visit: www.formuladrift.com and find Formula DRIFT on Instagram @formulad, Facebook www.facebook.com/formuladrift and Twitter @FormulaD.